Occurrence of withdrawal symptoms during abstinence from alcohol is evidence of physical dependency on alcohol and helps to confirm a diagnosis of alcoholism. Withdrawal symptoms are variable, ranging from mild tremulousness to delirium tremens (DT). Early symptoms of withdrawal, such as tremulousness and even seizures, may develop while there is still alcohol within the bloodstream. Withdrawal seizures have been noted in individuals with blood alcohol levels as high as 100 mg dL (0.1 ). In the early stages of withdrawal, alcoholics may experience nausea, vomiting, diaphoresis, mild tachycardia, hallucinations, illusions, and mild disorientation, in addition to tremor. All of these symptoms are relieved by ingestion of alcohol. Avoidance of withdrawal symptoms may be one reason why some alcoholics continue to drink despite other adverse health consequences. Alcoholism is a complex disorder with both behavioral and medical components, the cause of which is likely to be multifactorial. Many studies have highlighted the importance of genetic risk factors in the development of alcoholism and alcohol-related problems, although specific genes for alcoholism have not yet been identified. Definitions of alcoholism reflect the relapsing nature of alcoholism as well as the existence of physical dependence and tolerance to alcohol, lack of control of consumption, and continued use despite the development of problems or harmful consequences. Of particular concern to the gastroenterologist is the high comorbidity between eating disorders and substance abuse, especially alcoholism. The overall rate of all substance use disorders among eating disordered patients was 37 in one study, and rates of alcoholism among bulimics were > 40 (Braun et al, 1994). Patients abusing alcohol exhibit high rates of GI comorbidity, and women suffer adverse consequences, such as cirrhosis, from consumption of alcohol more quickly than do men. We recommend screening all eating disordered patients for alcohol abuse behaviors (Redgrave et al,2003). 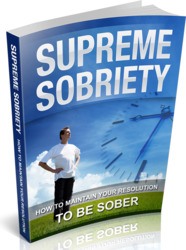 Alcohol dependence is the physical and psychological dependence on alcohol. Any sudden cessation in the consumption in alcohol can lead to physical symptoms of withdrawal. These range from nausea and minor tremor to grand mal seizures (Kumar and Clark 2003). Alcohol dependence has seven essential elements. These are Alcohol withdrawal can be classified as mild, moderate and severe. Mild withdrawal does not require hospital admission. The important roles that have been established for the carboxylesterase enzyme family have prompted a look into its gene structure. Identification of the respective genes of the carboxylesterase enzyme family will offer insight into the structural and functional tenets of its many enzymes as well as making it feasible to establish a genetic link between alcohol abuse and alcohol-induced heart muscle disease. Because a variety ofhemostatic factors beyond those associated with platelets also contribute to the complications associated with coronary heart disease, it is important to consider the above information on platelets in the context of some of these other observations. One of the strongest risk factors for myocardial infarction is elevated plasma fibrinogen level 41 . The association of fibrinogen and alcohol consumption was evaluated by Mennen and colleagues 42 , Alcohol consumption was associated with plasma fibrinogen levels in a U-shaped fashion for men only, with fibrinogen being the lowest in those subjects who drank 20-59 grams of alcohol per day. Fibrinogen levels were greater for nondrinkers and those who consumed over 60 grams of alcohol per day. The type of alcohol consumed also apparently played a role, with a lower level of fibrinogen in those who drank wine and spirits as opposed to those who drank beer and cider (in which no association was found). While these observations suggest that an anti-platelet effect of ethanol could contribute to the reduced risk of CHD-related mortality in drinkers, it must be emphasized that any contribution of a platelet action of ethanol must be viewed in the context of other actions of ethanol and alcoholic beverage components. Furthermore, the duration of the antiplatelet effect is not known, nor are the effects of chronic vs. acute alcohol consumption or pattern of consumption (regular consumption vs. binge drinking). Nonetheless, this is the first clear demonstration of dose-dependent, inhibitory effects of acute, moderate alcohol consumption on platelet function. Little information is available about the effects of alcohol consumption on apolipoprotein E metabolism in humans. In one study, comparing apolipoprotein E levels among low (< 20 g alcohol day), moderate (20-50 g day), heavy (> 50 g day) and alcoholic (> 100 g day) drinkers showed no difference in serum apolipoprotein E levels between groups 43 , Conversely, other studies have shown that alcohol intake is associated with increases or decreases in apolipoprotein E 11,44 , Interestingly, there may be a gender difference in the alcohol effect on apolipoprotein E in that male alcoholics have a higher level of apolipoprotein E levels compared to controls whereas this difference does not exist between female alcoholics and controls 11 . In examining the distribution of apolipoprotein E between VLDL and HDL, Lin et al. found that alcoholics have a lower level of VLDL apolipoprotein E and higher level of HDL apolipoprotein E than controls 11 . Both cigarette smoking and alcohol drinking are involved in lipid metabolism and proinflammatory response. They are also related to unhealthy eating patterns. Alcohol abuse can promote the formation of smoke-related DNA adducts distributed in organs including the heart, which may be responsible for cardiomyopathies. Furthermore, ethanol intake has a correlation with nicotine addictive. Finally, ischemic brain infarcts of unknown origin (cryptogenic stroke) have also been described in connection with heavy drinking of alcohol 41,42 , Alcohol also has complex effects on cerebral blood flow and autoregulation. Whether or not these mechanisms play a significant role is unclear. Thus far, we have not found an alcoholic binge to result in marked hypotension and watershed infarcts. 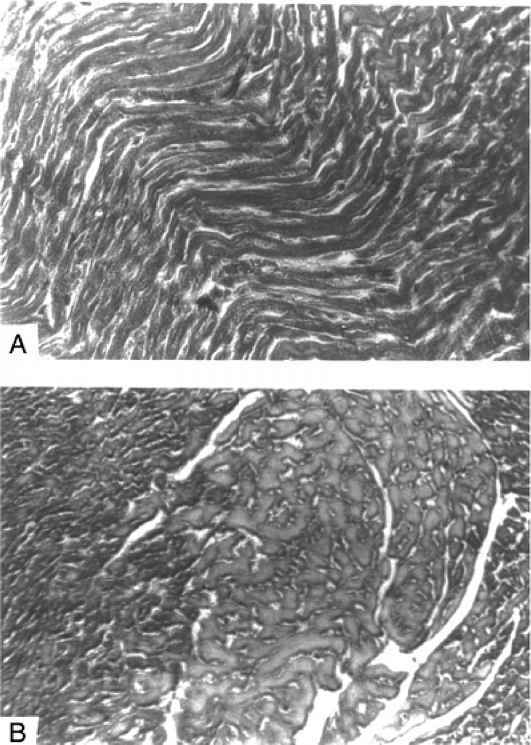 We believe that many of the cryptogenic ischemic brain infarcts are due to emboli of unknown origin. You and your clinician should discuss your bone health during every annual exam, regardless of your age. Your calcium and Vitamin D intake, your level of physical activity, and your lifestyle factors such as smoking and drinking alcohol can affect bone health at any age. A reliable model that could predict the failure of hemosta-sis after an acute bleeding episode will be very useful for risk stratification, management, and research purposes. Many studies have been done, but small sample size, retrospective nature of the study, the heterogeneity of offered therapy and different patient characteristics make it difficult to draw any definite conclusions. However, active bleeding at the time of endoscopy has been shown to independently predict failure to control bleeding as well as early (30 day) mortality in many studies. Other factors include higher HVWPG, encephalopathy, low platelet counts, history of alcoholism, shorter interval to admission, and bacterial infections. Chronic pancreatitis is characterized by chronic inflammation with fibrosis and obliteration of both the endocrine and exocrine components of the gland. These changes are irreversible, progressive, and may culminate in clinically significant pancreatic insufficiency and diabetes. Although chronic alcoholism is the usual etiology, some patients develop the disease because of chronic ductal obstruction, some because of genetic predisposition, and a substantial number for reasons as yet unknown. Regardless of the cause, the most common symptom of the disease is chronic abdominal pain, and pain relief is the most frequent reason for surgical intervention. Other reasons include various intra-abdominal complications of pancreatitis (eg, bile duct or duodenal obstruction, pseudocyst), and the concern that pancreatic cancer may be present. We will describe the surgical considerations related to each. Couples and family therapists have developed specialized interventions for a wide variety of psychiatric disorders, including depression, alcohol, and a variety of anxiety disorders. Outcome studies have generally found that intervening with couples and families (rather than individuals) leads to lower drop-out rates and higher treatment success rates. Behavioral and cognitive couples treatments for depression have been found to reduce depression and increase satisfaction when the depressed person is in a distressed relationship. 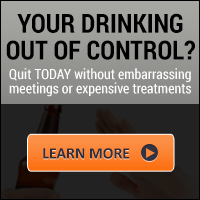 Behavioral Couples Therapy has also been shown to reduce alcoholism and to improve couples' satisfaction. Finally, spousal involvement has been shown to increase the effectiveness of behavioral treatments for agoraphobia. How pyridoxine deficiency and overdose cause neuropathy is unclear. Deficiency results from polynutritional deficiency, chronic alcoholism, and from treatment with isoniazid and hydralazine. Isoniazid inhibits conversion of pyridoxine to pyridoxal phosphate. 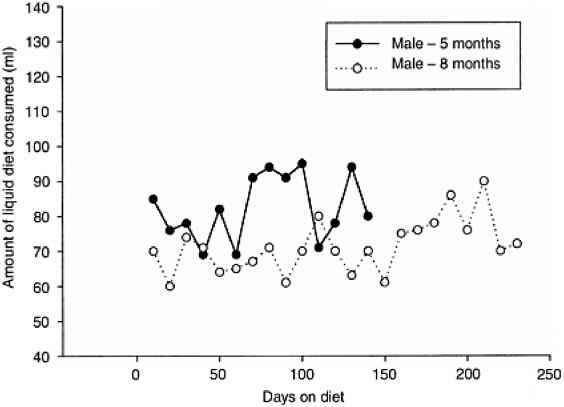 Increased pyridoxine can be detected in the urine, but this is not important for diagnosis. Pyridoxine is toxic at doses over 200 mg day. 100-1000 mg pyridoxine given daily during isoniazid or hydralazine treatment is effective. Deficiency caused by alcoholism or other states of malnutrition should be treated with pyridoxine and other vitamins, since other deficiencies are likely concurrent. The major clinical feature in porphyria cutanea tarda (PCT) is fragility of sun-exposed skin which causes the formation of blisters and erosions after minor trauma, particularly on the backs of the hands. Chronic skin damage may lead to scarring and thickening of the skin which resembles scle-roderma. Skin lesions are accompanied by liver abnormalities which vary from mild portal inflammation to cirrhosis. In patients with long standing untreated PCT there is an increased incidence of hepatocellular carcinoma. Neurological symptoms do not occur in PCT. Alcoholism and use of estrogens are precipitating factors of PCT. Aspiration of food and vomitus is common in those who are prone to aspirate because of debilitation, dysphagia, alcoholism, nasogastric tube feeding, congenital malformations of the upper airways, central nervous system disorders such as seizures, and altered consciousness. If active or passive clearance of the aspirate is not achieved, there is a short latent period of several hours before the onset of pneumonia. Poor oral hygiene, gingivitis, and periodontitis, as well as therapy with diphenylhydantoin contribute to poor oral hygiene and promote the development of pneumonia in those who aspirate. Difficult to separate from nutritional or vitamin deficiency neuropathy. There is axonal degeneration with loss of large and small myelinated fibers in autonomic and sensory and motor nerves. Incidence is 9-30 of hospitalized alcoholics. 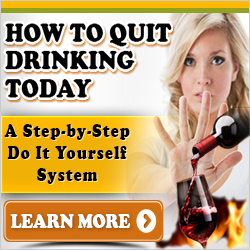 Occurs after several years of consuming at least 100mg alcohol daily. Women are more susceptible. And compartment syndrome have been described in young alcoholics undergoing treatment with benzodiazepines (Rutgers et al 1991). Rhabdomyolysis and acute renal failure occurred from a beta-2 adrenoreceptor agonist terbutaline (Blake & Ryan 1989), secondary to intense beta receptor stimulation. Pancreatic polypeptide-omas (PPoma) are clinically silent however, they are the most common neuroendocrine tumor in MEN type I. The true incidence is unknown. They occur throughout the pancreas and may be large at presentation. Malignancy is common and occurs in 64 to 92 of patients.30 These tumors generally present after 40 years. The diagnosis is made by an increase in the PP level.31-33 Other causes for an increase in PP levels include old age, inflammatory conditions, bowel resection, alcohol abuse, chronic renal failure, and diabetes mellitus. Alcohol abuse, chronic abdominal pain, steatorrhea, diabetes, family history of pancreatitis or pancreatic cancer, and usage of pain medication. 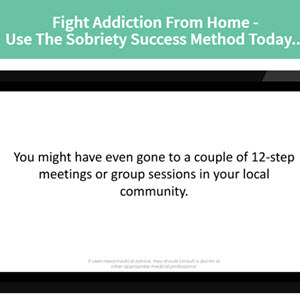 - If narcotic alcohol dependency is active, encourage commitment to undergo detoxification in a controlled chemical dependency unit postoperatively. A past history of heavy alcohol consumption, with recurrent abdominal pain and steatorrhea should suggest chronic pancreatitis as a cause for diabetes. Stool fat, pancreatic function tests (such as duodenal intubation with secretin-cholecystokinin stimulation, endoscopy-based duodenal fluid collection (Conwell et al, 2003) or less invasive techniques involving breath testing (such as 13C-mixed triglyceride breath test), confirm the diagnosis. If functional tests are suggestive of pancreatic insufficiency, pancreatic enzymes can be supplemented with each meal. Disorders of the liver characterized by fat accumulation in the absence of excessive alcohol consumption are collectively known as nonalcoholic fatty liver disease (NAFLD). Although the presence of excess amounts of fat as triglyceride in hepatocytes may not always be directly harmful, it is typically associated with progressive liver disease. In fact, in some people, NAFLD is capable of causing cirrhosis and leading to death or liver transplantation. The necroinflam-matory changes associated with progressive liver disease are generally identified pathologically as steatohepatitis, and the pattern of injury and constellation of findings most commonly associated with more severe liver disease is called nonalcoholic steatohepatitis (NASH). The etiology of the pain is multifactorial and, in general, is not well understood. Factors include continued alcohol consumption that results in local release of oxygen-derived free radicals, diminished pancreatic blood flow and tissue acidosis, perineural sheath destruction with exposure to various nociceptive agents, and elevated pancreatic duc-tal and parenchymal pressures. The initial therapy for pain in all of these patients should be nonoperative and includes recommendations for the cessation of alcohol intake, and the administration of oral analgesic agents.